Wastage of water is quite prominent in urban as well as rural areas and overflowing of water tanks is a major reason for that. 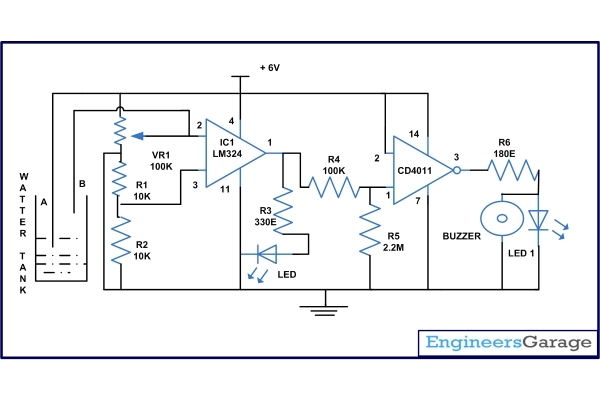 This water tank overflow circuit described here starts ringing as soon as the water tank becomes full. Thus, by warning the user, the project avoids the need to check overflow and prevents wastage of water.